This post brought to you by Organic Choice. All opinions are 100% mine. It’s time for spring garden goodness again and I am so excited to get started! It is in my DNA or something. I have to plant and nourish and grow something every year. I believe in gardening and look forward to growing at least a portion of the food we eat. It is a wonderful skill to have and not necessarily just to save money, but to know what is in and on the food you eat. It is so satisfying to walk outside and cut some fresh lettuce and pull some crispy radishes and be able to enjoy that ultimate degree of freshness. There is really nothing quite like it. With container gardening or raised beds, you completely control the soil and what is in it. 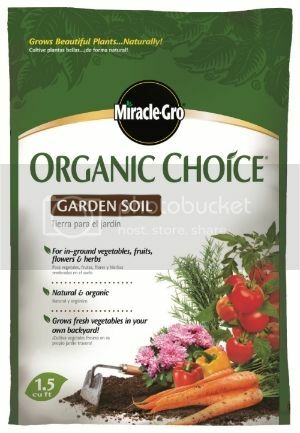 Growing Green with Miracle Gro Organic Choice Garden Soil, I will know that my lettuce will be safe to eat, fresh and nutritious without added harmful chemicals. After all, I am aiming for organic and the soil that edible foods are grown in is all part of that process. Like I mentioned, I have worked for about three years establishing a garden in my backyard. By this I mean tilling, cultivating, weeding, conditioning, mulching and composting. It takes time and a lot of hard work to to get everything just right in a garden and even with all this care, I will never know everything that has been applied to the soil over the years. By growing in containers or raised beds and growing green with Organic Choice you can be sure that you are growing organic without chemicals that could be harmful to you or the environment. Plant and vegetables need food as well. It really defeats my purpose of gardening to work so hard to grow fresh edible crops just to douse them with a chemical fertilizer. 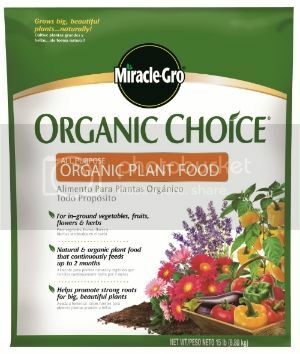 Thankfully Miracle-Gro Organic Choice Organic Plant Food provides a safer organic alternative. So what will I do with all this beautiful lettuce? My husband and I have been striving to cut down on our sugar and carb intake. Fresh organic foods especially a nice lettuce blend is a huge part of our diet. One of our favorite meals is a nice plate of lettuce with sliced London Broil on top with pecans and diced Granny Smith apples. Served with our favorite salad dressing, this is a filling delicious meal that is quick and easy to prepare. Another reason I am going to grow lettuce in containers and a large planter that I have, is that the spring growing season here in Tennessee can be tricky. The weather can turn from freezing cold snowy icy to full blown summer in a matter of days. Lettuce is a cool weather crop and if it gets too hot, it will taste bitter. By growing in containers, I can better control the environment by being able to move to a shady area if needed. We will see, this is my first time trying this but I love to experiment and try new things! So stay tuned. I will be documenting and sharing my experience!